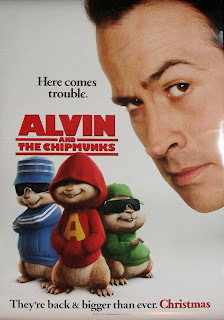 What u know bout dem Chipmunks! 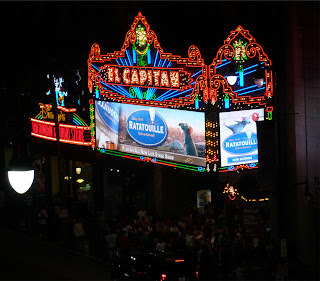 Tonight a group of us went to "El Capitan Theater" in Hollywood for opening weekend of Ratatouille. I have been waiting for this film for a long while and it definitely did not disappoint. The colors, the characters, the story, the animation was ALL beautiful. 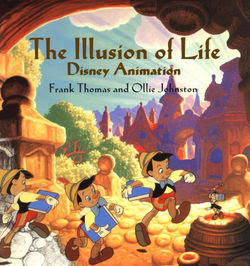 I felt great when the movie ended, like I had not felt in a long time after seeing an an animated film, or even any film. And the whole El Capitan experience was pretty good too. 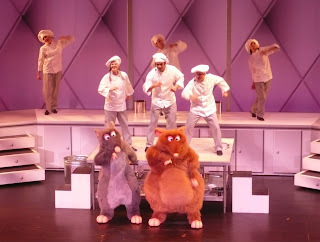 A bunch of Disney characters showed up on stage before the show and they danced to past and present classic Disney tunes. I hope everyone gets a chance to see it. I'm looking forward to more films like this. Wishful thinking!